I began writing this week’s Wednesdays With Wayne last week. 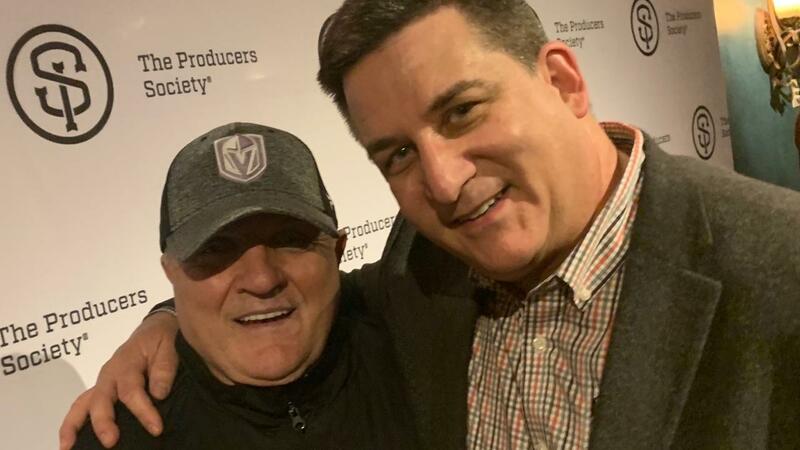 Then, I got to meet Rudy Ruettiger and watch him do his one-man show on Broadway. His story is about how he overcame significant odds to get just a few moments of the success target that he sought. And yet, the story was born. His show, Dream Big, addresses his focus and his determination. And my mom. She wasn’t athletic. She wasn’t a superstar singer or actress. But you know what? My mom knew something about throwing parties. They were elegant. They were smooth. Everyone felt good. She became known for her hospitality. As kids, we used to tease her for running around so frantically, fretting about every detail from the napkins to the coffee grounds. Every guest was made to feel special and all we knew was that the party went off without a hitch. Why did she have to worry and run around so much? I mean, it all just came together, right? When I was old enough to understand, one of the lessons she taught me was that the smoothest party, the ones that look effortless, are the ones that have the best planning behind them. Planning And Preparation – these are YOUR keys to success, too. Anything you’ve succeeded in above what other people have succeeded in has come from your willingness to do what other people won’t do. Sometimes it feels like adding a full-time job to your already full-time job. And the hard truth is that it IS work. The good news is that if you love it and you keep the outcome in mind, you will enjoy the work. I am so grateful to have you join me on this journey. It means the world to me that you’re here. I could gush on, but I’ll bring this back to where we started. You get to do things that others can’t. You get to do that because you show up over and over again, doing a bit more and a bit more to grow your dream. If anyone tells you that you’re stupid or wrong for heading down your path, that’s their limitation, not yours. People have been asking me how to fine tune their dreams. They know they’re aching for more, but they don’t know what or how to hone in. Spend a couple of days with me. I’ll get you headed there at the www.StuckAtTheTop.com breakthrough retreat. Have you been to San Diego in April? It’s going to be great! Details HERE.